and days across plains and valleys and mountains. of when cities still dreamed dreams. 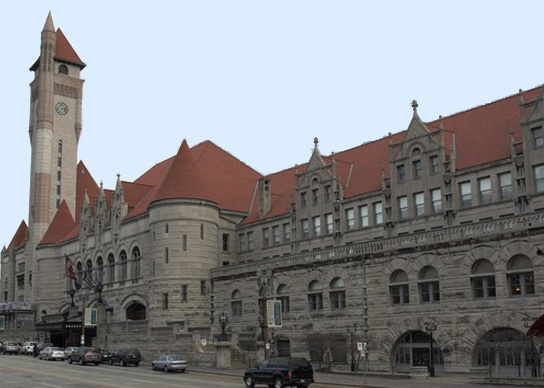 St. Louis Union Station was built in the in 1890s, designed by architect Theodore C. Link. At its height, the “Midway” of the station serviced more than 100,000 people a day. 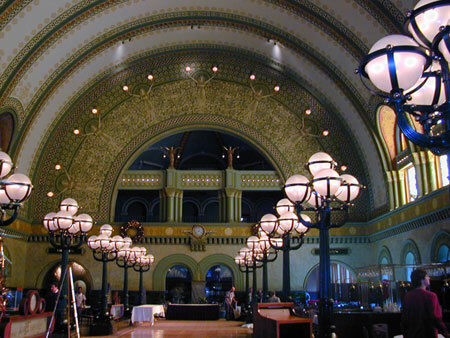 In the early 1980s, the station underwent a $150 million renovation, and now includes a hotel, shops and restaurants. The famous photograph of President Truman holding a news paper with the headline “Dewey Defeats Truman” was taken on a train here. We live in this poem called St. Louis, a poem we're still writing. It's about history, and art, and politics, and business, buildings and streets, rich and poor, and food (of course), and all of the other things that make this city what it is and what it will become. We publish poems about St. Louis, and you're invited to contribute via the comments to posts (for now, until we get our communications organized). Send us a link or an email address, and we'll respond. Help us write the poem that is St. Louis. 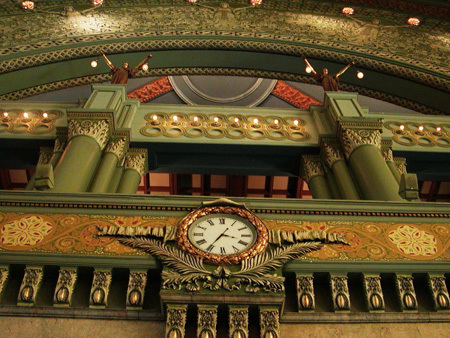 This entry was posted in Poems and tagged poetry, St. Louis, trains, Union Station. Bookmark the permalink.